Originally established as a program by the Ministry of Health and Long Term Care in 1983, The Office of the Patient Advocate was transferred to the North Bay Regional Health Centre (NBRHC) on April 1, 2012. To ensure the continuance of an independent mandate, the Patient Advocate reports to Senior Administration of the hospital, Quality Committee and the NBRHC Board as required. The primary responsibilities of the office are to assist current patients, former patients and families of the NBRHC by providing advocacy services in accordance with the Compliments and Complaints Policy, Advocate Standards of Practice and the Excellent Care for All Act (ECFAA) as the designate of the Hospital for legislative compliance. 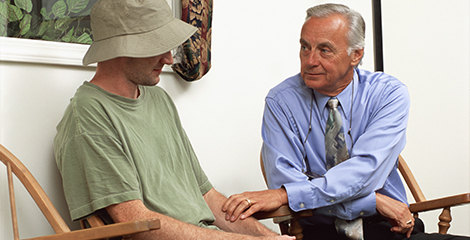 Be accessible and respond in a prompt and confidential manner by advocating on behalf of patients, promoting self-advocacy, investigating complaints or identify issues related to various concerns related to hospital policy, patient centered best practice or legislation. Ongoing knowledge and understanding of policies, protocols and case law in order to facilitate quality intervention/mediation on behalf of clients and families. Provide leadership, advice, consultation and support to the organization by oversight of systemic adherence to applicable policies, protocols and legislation with the goal of positive patient outcomes and successful quality initiatives. Referral of patients and families, when necessary, to outside community resources such as counseling organizations, lawyers or physicians who may provide additional information or opinion. Talk to a staff member who is with you; ask for a response if you have a concern. Request to speak with a Program or Department Manager. If you are still concerned after speaking with staff or the program/department manager you may contact the NBRHC Patient Advocate in person, by telephone or in writing. The Office of the Patient Advocate: Town Square across from the Gym.